Accessibility | Allan Pipe Fabrication Inc.
e) take into account individual needs when providing goods and services. a) Persons with disabilities may use their own assitive devices as required when accessing services and facilities at APFI. b) In cases where the assistive device may present a safety concern or where accessibility might be an issue, other reasonable measures will be used to provide access to services and facilities. c) Guide Dogs, Service Animals and Service Dogs will be allowed access to premises unless a health and safety concern presents itself, for example, in the form of a severe allergy to the animal, APFI will make all reasonable efforts to meet the needs of the individual. d) Support Persons will be allowed to enter the premises together with the customer. 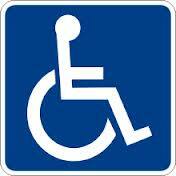 At no time will the Support Persons be prevented from having access to the persons with disabilities. a) APFI will provide the public with notice in the event of planned or unexpected disruptions in the facilities or services used by customers with disabilities. The notice will be posted at all entrances to the facility, reception area and outgoing telephone messages. a) APFI shall provide customers with the opportunity to provide feedback on the service provided to customers with disabilities. Information about this process will be available to all customers on our website or reception area. b) Methods of providing feedback are verbally (in person or by telephone) and written (handwritten or e-mail). d) Customers that provide formal feedback will receive acknowledgement of their feedback, along with any resulting actions based on concerns or complaints that were submitted within 10 working days. a) APFI will provide training to all employees who deal with the public and are involved in the development of APFI policies, practices and procedures. a) Upon request, APFI will provide all documents related to Accessible Customer Service Policy in a format that takes into account the customers disability or a format that is mutually agreeable between APFI and the customer.